Manufacturer of a wide range of products which include hydraulic seal. We are offering Hydraulic Seal. Widely used in hydraulic systems across various industries, these are available in different diameters and dimensions in order to match the clients' requirement. In addition to this, these products are highly appreciated by our clients and are availed at affordable prices from us. 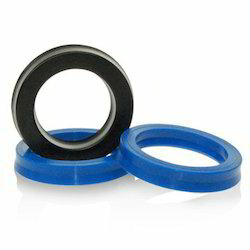 Looking for Hydraulic Seals ?